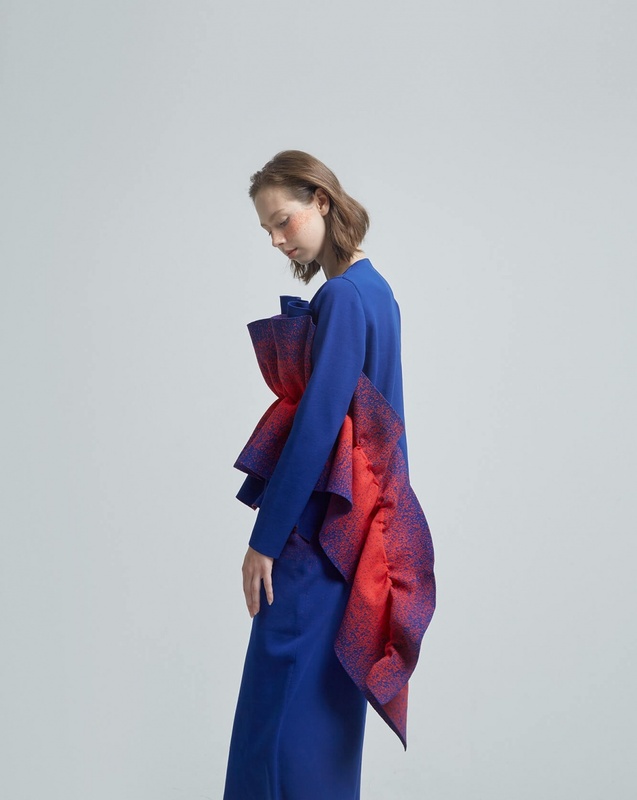 A knitwear collection inspired by tiny molecules has secured Arto Wong a place in Hong Kong’s fashion mecca, JOYCE. Seeing their designs on the racks of JOYCE is a dream for many up-and-coming designers. 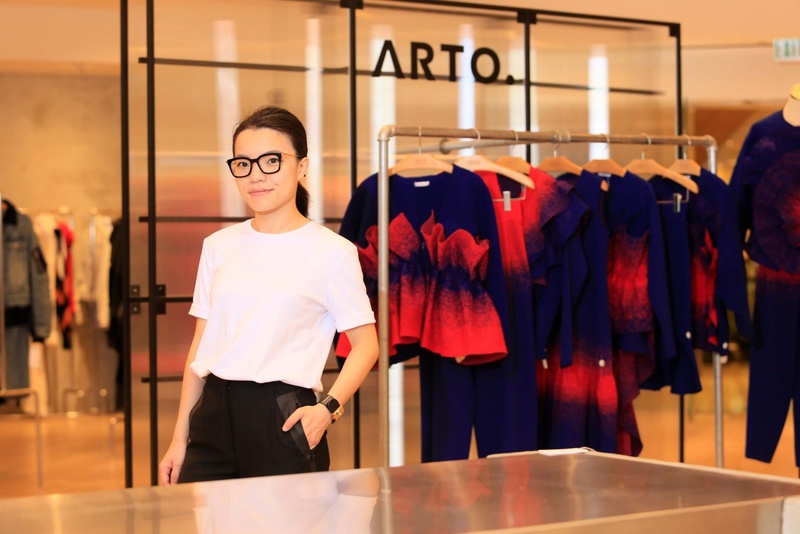 YDC 2017 champion Arto Wong has fulfilled this ambition after being selected by JOYCE for a special collaboration that allows her newly launched label ARTO. to be sold at the renowned retailer. 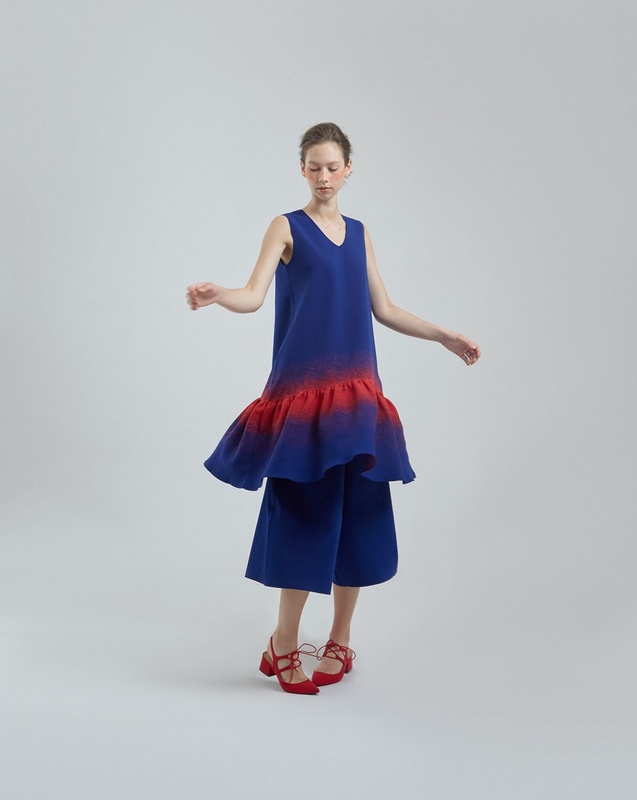 A knitwear designer by training, she is not a follower of trends but likes to develop from a single concept. Her new label will explore the fascinating possibilities of knitwear. Supermodel Angie Ng in ARTO. “Everything in the world is formed by molecules. This process is so powerful that I was inspired to create a collection with big volumes and silhouettes, and strong visuals.” she says. 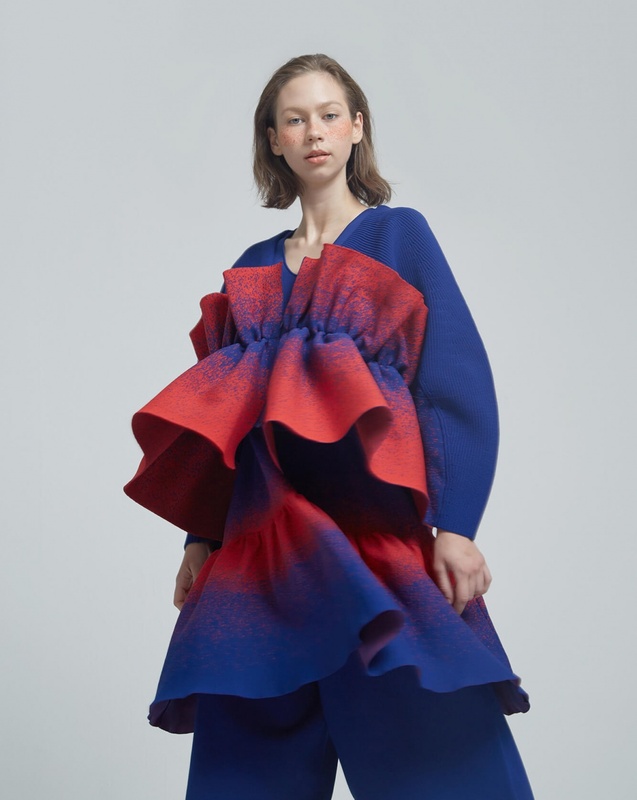 Experimenting with knitwear techniques, Wong has delivered a collection with striking layers, volume and compelling visual appeal. Michael Mok, General Merchandise Manager of JOYCE, selected her as winner of the New Talent Award, a new award sponsored by JOYCE at YDC 2017. “We had a few rounds of interviews and from there, I got to see Arto’s workmanship closely and understand her design concepts. She ticked all the boxes with wearability, strong visuals, a consistent identity and the possibility for mix and match,” says Mok. A mentorship followed – invaluable for a new designer like Wong – who was advised on how to develop her brand. She additionally learned plenty from JOYCE about the fashion business, including customer expectation, sizing and price points, brand registration and shipping while facing the very market she wants to tap into. The biggest challenge for Wong was how to transform the showpieces from runway to rack. “I made the showpieces by hand but a commercial collection would have to be made in a factory. So I had to modify certain techniques and communicate with the workers while taking into account the cost, time and allowing for as little variation from one piece to another as possible. It gave me a huge sense of satisfaction to achieve this,” she says. Despite the voluminous looks, the outfits are actually lightweight as they are made from premium polyester yarn sourced from Japan. It is smooth, breathable, versatile and understandably expensive, but Wong doesn’t want to compromise on quality and wants to push the boundaries with her craftsmanship and choice of materials. For the upcoming YDC 2018 in September, JOYCE will again sponsor the New Talent Award. 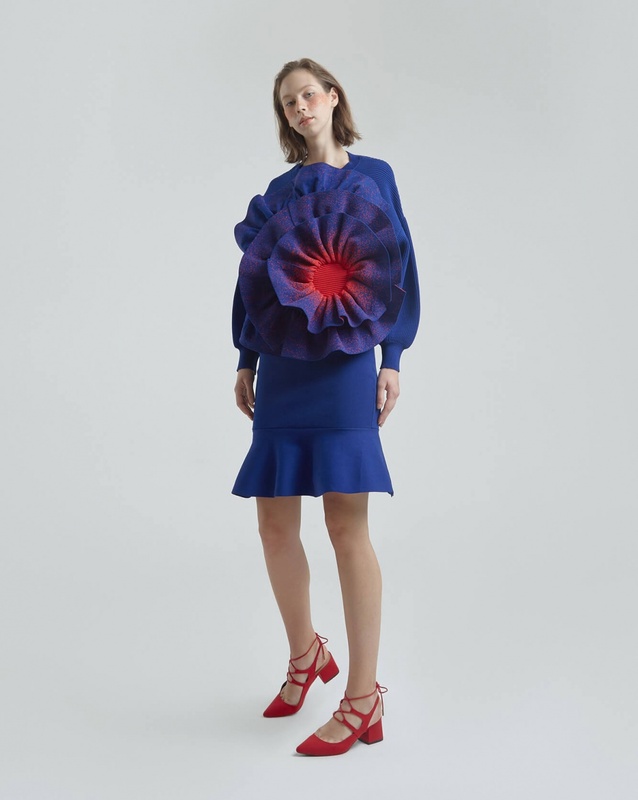 According to Mok, today’s customers are very open-minded so he is not looking for something in particular, but instead hopes to be swept away by a designer’s workmanship and ideas. “We want to give new designers a leg up at the beginning of their careers but going forward they need to think about how not to lose their identity. Fashion is a tough business. Newcomers need to be focused and not try to do everything. Craftsmanship and effort make the biggest impression,” he believes.“A consistent message and strong design concept are very important. Ideally, we want to be able to identify a brand even when the tag is covered,” he adds. JOYCE x ARTO. Capsule Collection is now available at JOYCE in Hong Kong Pacific Place and Shanghai.